The ELACIN (Etymotic Research)ER 20 is the only "conventional" (non custom moulded) hearing protector in our assortment. This product is very well suited for temporary use where the quality of sound is important. 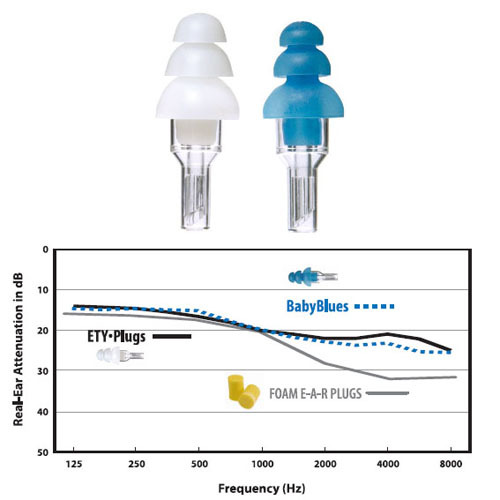 These Ready-Fit ER-20 High Fidelity Earplugs were developed to provide low-cost, one-size-fits-most earplugs that can be used in a variety of noisy environments. The goal of the ER-20 design was the same as for ER Musicians earplugs: to reduce noise but preserve sound quality. In effect: To turn down the noise but not muffle voices, environmental sounds or music. ER-20 use a tuned resonator and acoustic resistor to give essentially equal sound reduction at all frequencies, which preserves the fidelity of the original sound. The ER 20 are the highest fidelity ready-fit earplugs on the market. Click here to see how this product performed in a study by the University of Auckland. Click here to order them online. We are the only official distributor for New Zealand so you can also contact us for larger quantities at whole sale prices. 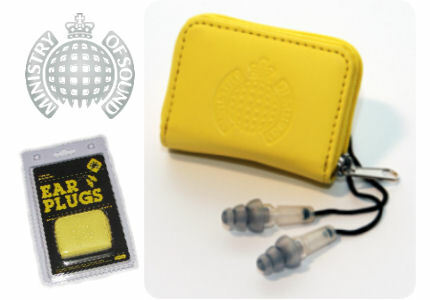 Now also available as the "Ministry of Sound" earplugs. These must be the coolest ready fit earplugs on the market.